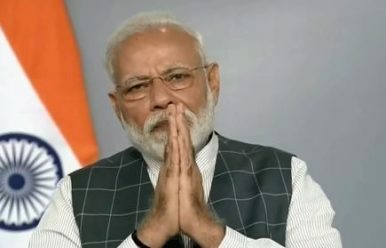 In a surprise, unscheduled national address on Wednesday, March 27, Indian Prime Minister Narendra Modi announced that the country had successfully carried out its first-ever anti-satellite (ASAT) weapon test. The test, codenamed “Mission Shakti,” took three minutes and destroyed a target satellite at an altitude of 300 kilometers, in low-Earth orbit (LEO), Modi said. He applauded India’s Defense Research and Development Organization (DRDO) for realizing the capability. Modi underscored that with the test, India was among four countries with a demonstrated anti-satellite capability. The other three countries are the United States, China, and Russia. Only the United States and China have conducted tests of anti-satellite systems against live targets in recent years. In 2007, China received widespread global opprobrium for shooting down a satellite at an altitude of more than 800 kilometers in LEO. The test produced more than 2,000 pieces of debris, hundreds of which will remain in orbit for decades to come. In 2008, the United States demonstrated an anti-satellite capability when a U.S. Navy Ticonderoga-class cruiser USS Lake Erie launched a Standard Missile-3 interceptor. The test demonstrated the similarities between ballistic missile defense interception technologies and those required to destroy satellites. According to Modi’s description, India’s anti-satellite test destroyed a target at an altitude more similar to the U.S. test, which produced minimal debris that decayed out of orbit within a year’s time. The U.S. test had shot down a satellite at an altitude of 240 km. Russia is developing a new anti-satellite system known as the PL19, or Nudol. That weapon has yet to be tested against a live satellite target. Indian officials have in the past discussed a nascent ASAT capability, but not in reference to any specific system. In 2012, V.K. Saraswat, then the head of DRDO, noted that India had the components to put an anti-satellite weapon together. “We will not do a physical test [actual destruction of a satellite] because of the risk of space debris affecting other satellites,” Saraswat had said at the time. The differences between ballistic missile defense and ASAT technologies are minimal when the core function of the interceptor is to kinetically destroy an object at exo-atmospheric altitudes, be it on a ballistic trajectory or in low-earth orbit. Though Modi did not specify which interceptor was used in the test, it may have been India’s Prithvi Defense Vehicle, an exo-atmospheric hit-to-kill interceptor, similar to the U.S. SM-3 interceptor. An Indian ASAT capability may generate concerns in Pakistan that the capability portends a new era of ballistic missile defense capability in New Delhi.